Media Player Classic is truly great as a media player which focused on multimedia playback on Windows. It is extremely light weighted supports more video codecs than other average media players. Media Player Classic plays Windows Media Files (.wma, .wmv), RealMedia formats (.ra, .rm, .rmvb, .ram, .rpm, etc.) with Media Player Classic Real Alternative installed and the latest version of Media Player Classic for Windows 10 really good at playing 4K 8K UHD videos without K-lite codec installed. 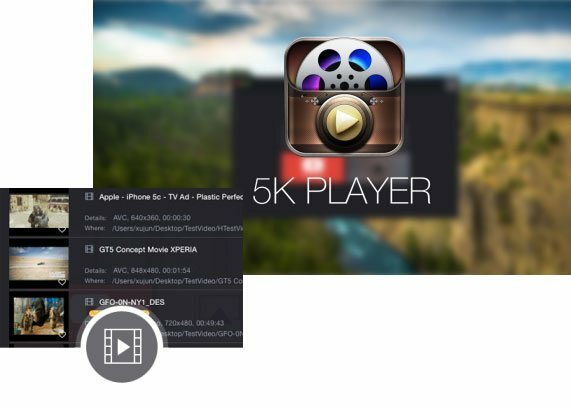 Supports almost all video codec playback including MKV, AVI, MP4, H.265/H.264 and plays WMA, WMV natively on Mac, 5KPlayer absolutely makes itself on top of the list of best Media Player Classic alternative for both Mac and Windows. In the field of media playback, this best Media Player Classic alternative really excels in playing 4K 8K UHD videos, 3D VR video, and multi-regional DVDs. Even if Media Player Classic is one of the best media player for Windows 10 in 2019, unfortunately, there is no Mac version of Media Player Classic to work fantastically on Mac OS. For Mac users, they would definitely want to find a Media Player Classic Mac alternative to help playing Windows media files, and for Windows users? There is always a place for best Media Player Classic alternative for Windows in case Media Player Classic stops working sometimes. So, let's jump right in to the best 5 free Media Player Classic alternatives for both Mac and Windows. *The best media player 64 bit to play WMV, WMA windows media files on Mac. *Play MOV QuickTime files on Windows. *Extended UHD videos rendering to play 4K 8K on average Mac and PC. *Play MKV, AVI, MP4, DVD, 3D videos without efforts. Mac users know and appreciate Elmedia Player as one of the best alternatives to Media Player Classic. 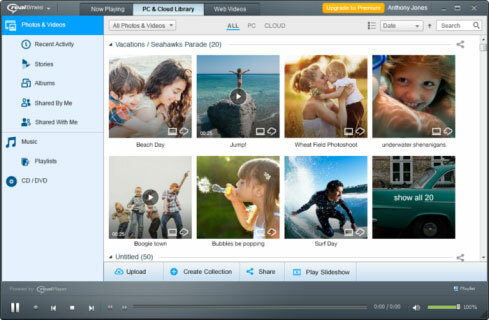 It supports variety of formats, such as FLV, SWF, WMV, AVI, MOV, MP4, MP3, FLAC, M4V, MPG, MKV. You can stream MP3 file and any videos from your computer to Chromecast, AirPlay & DLNA-compatible devices. Embedded subtitles and external subtitle files are also supported for streaming. Elmedia Player allows you to create playlists from local files and to cast them to Smart TV. 1. Online playback of video from YouTube and other sites without ads. 3. Streaming local video and MP3 tracks to DLNA, Chromecast and AirPlay-enabled devices. 4. Playing and streaming Blu-ray discs. VLC player is famous for its ability of playing almost every video audio codecs in a web player that allows you to stream media from the web. And the latest VLC player surely makes itself a good Media Player Classic Mac and Windows alternative. But this open sourced player still is not bug free, and has problems like VLC　player audio delay, VLC can't play MKV, DVD, MP4 videos are also frequently asked questions in Videolan forum. RealTimes is the deviation of Real Player, the previous Real Player is just for PC, but RealTimes now is a multi-purpose Media Player Classic Alternative for both Mac and Windows, and it does much more than playing video and music. 1. Download videos to play your favorite video offline, but you may need a RealPlayer Downloader alternative cuz RealPlayer downloader still has problem. 2. Stream videos from PC to Roku or Chromecast to enjoy movies on TV. 3. RealTimes mobile App lets you watch videos on the go. For Windows users, you may a big fan of Windows Media Player especially after the Media Player updated to version 12, works even more smoothly on Windows 10. It can be an alternative for Media Player Classic on PC as it can also sync media files from PC to a portable device like iPhone/iPod/Android so you can enjoy music or movie on the go. However, this Media Player Classic alternate still needs to install MKV codec for Windows Media Player to play MKV high definition videos without problems and all. This is a Media Player Classic Mac alternative only because it offers good service on Mac only since Apple announced that they stops offer security backup for QuickTime on Windows. And the US government urged Windows users to uninstall QuickTime for Windows right after due to security factors. But QuickTime is still one of the best Media Player Classic Mac alternative as it is the default Mac media player to play Apple's MOV files, but to play MKV, WMV video with QuickTime? You still need a QuickTime alternative such as 5KPlayer, VLC. 1. No video is displayed when playing DVDs in Media Player Classic on my Windows 10. 2. Media Player Classic freezes and stops working when I open the File menu. 3. "Failed to render file" error in Media Player Class. 4. Media Player Classic can't play MKV files on my computer (Media Player Classic MKV problems [solved]->>). 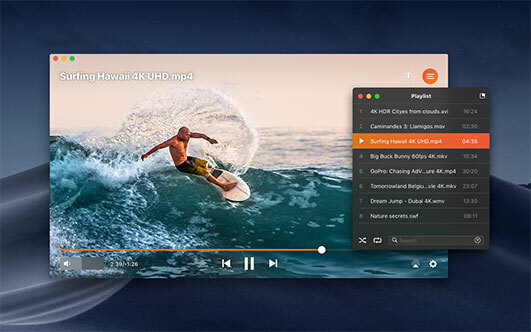 From all the reviews and comparing above, 5KPlayer is no doubt the best Media Player Classic alternative for both Mac and Windows. It is more than a video and music player for Windows 10 or Mac El capitan, it downloads videos from over 300 online video sites. And with the amazing free feature of AirPlay on this Media Player Classic alternative, now you can turn your Mac and Windows device to an AirPlay sender and receiver. Read this Media Player Classic Windows 10 review to know Media Player Classic new features before you download it.